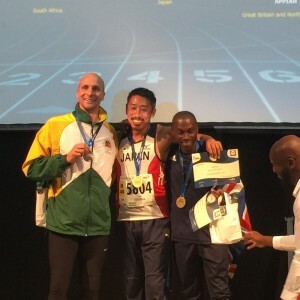 Although Kent AC men might not have been able to quite match the women who came away with both an individual winner and team medals, the men still had plenty to celebrate. And whilst the men may not have had a winner, they came very close in the shape of Rob Laing in the V40 race. His second place and the manner in which it was achieved, had to be the stand out run of the day. The fixture was held for the third year running on fields adjoining Central Park Dartford. Not the most scenic of courses, but It has certain advantages – not least the fact that for many of us it’s a good venue to get to. Also, you have to say the officials do a fine job on the organizing front and the results are produced with commendable efficiency. First up were the V50’s, who unfortunately, as a result of an accident whilst warming up, were without Jules Geevers. Due to the amount of rain we’ve had in recent weeks, the steep banks that are part of the course were a lot muddier than in previous years. Warming up poor Jules slipped and did what we now know to be serious damage to his knee. I’d just like to echo the sentiments expressed in the emails – supporting Jules and wishing him all the best in the rehab that will follow. Minus Jules, those running in a high standard race did well to come away with third place medals. There were the usual suspects, Len Reilly and Luke Armitage, but they were split by Roger Beardsworth. He seemed to like the long flat stretches where you could get a rhythm going. 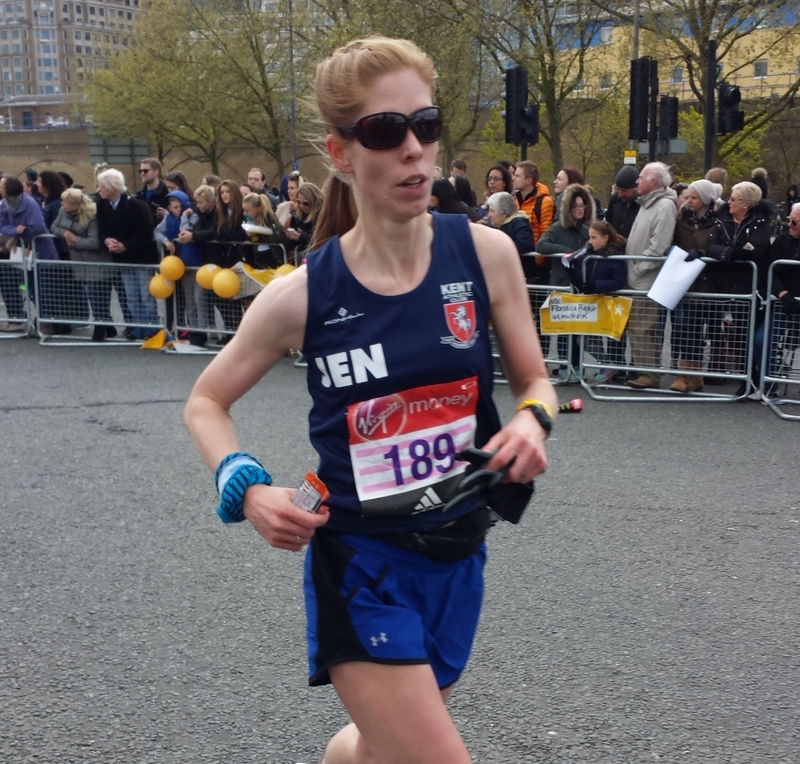 Len was 18th, while Roger was 27th and followed in by Luke, 28th. 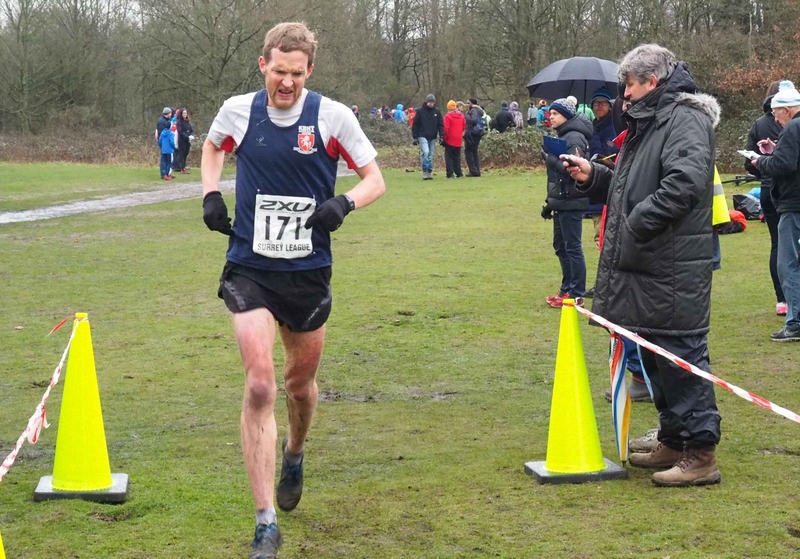 Also, in the race were Paul McCrone who came 40th – a very decent run in what was a big field, while Mick Barlow was another victim of the course and sustained an injury. Next there was the race that sees a combined range of women and men running in the same race, but in their separate categories. In the V60 men’s race, solid packing saw them come away with silver medals. John Barron, who was a little disappointed with his run in the previous week’s South of the Thames, had a very positive run. Although the winner from both 2016 and 17, Alan Camp, was missing, the depth of the race was still strong and John’s top ten finish (9th) was a quality run. Earning the second place team medals were Bernie Hutchinson 14th and Julian Spencer Wood, 17th. As is usually the case, the V40 men were the last to race. Whilst we have tremendous strength in depth in this category there was slight apprehension going into the race. Two of last year’s team were missing along with man on the move Stuart. A lot of people will be aware there was an extra incentive for our athletes to win the team event – so I probably only need to mention the word trophy! It was likely a motivating factor in getting Chris Greenwood on the start line. He pulled a hamstring only a couple of weeks back, but decided to give it a go. It proved a risk too far as Chris didn’t make it beyond the first lap with the hamstring proving too troublesome. However, just as required, the other guys stepped up and successfully retained the elusive trophy. They all put in a shift, but Rob Laing really excelled and came away with a tremendously well earned silver medal. After Chris had dropped out, a group of three broke away and enjoyed a terrific tussle for most of the race. The three in question were race winner, Blackheath’s , Alex Gibbins, third placer, Tonbridge’s, Julian Rendall and Rob. The three stayed together for much of the race before Rob and Alex Gibbins put daylight between them and Julian Rendall. There was a fierce scrap to decide the winner in which Rob lost out over the final mile. However, he can’t be faulted for the effort he put in. It was to prove a bit nerve shredding for supporters as the effort Rob had put in trying to stay with the Blackheath man was taking its toll and Julian Rendall started to close on Rob. Fortunately, he was able to summon just enough energy to hold him off and take a very fine second place. Providing the necessary support to ensure we came away winners again were, Phil Sanders, 11th, Will Pitt 13th and Tom Webb 20th. Phil and Will (sounds like a double act) had provided great mutual support as they ran together for most of the race. And it can’t have been easy for Tom who ran ever so well to come in 20th and ensure the win. Although he was receiving a lot of encouragement during the race, the shouts about how vital he maintained his position or overtook someone must have provided added pressure. But Tom hung in well and was rewarded with a trip to help Stewart with his move! So another highly successful day for the club. It was appropriate then that Ron Hale was on hand to see the club come away with so much silverware. I hesitate to use the word legend, as it is so over used. However, Ron probably justifies the epithet. 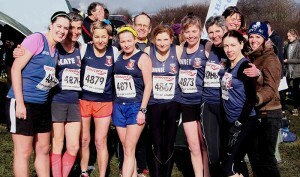 He’s been a Kent AC member longer than many of Saturdays veteran runners have been alive. Now a sprightly 90+ Ron seemed fit and in good spirits. A great advert for life long running. Something many of us might aspire to. However, unlike Ron, some of us probably spend too much time in the pub to make it to such a venerable age. There were a number of other good performances that didn’t get a name check: they can be seen in the full results on the Kent County site. 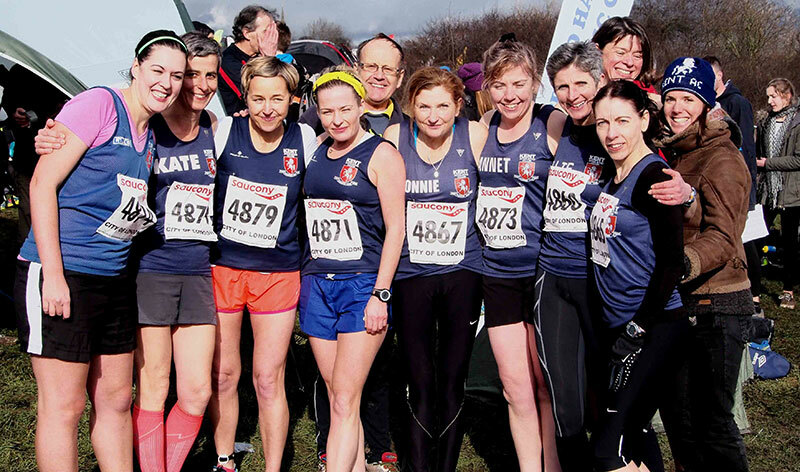 Kent AC is one of Britain's top track & field, road running and cross country clubs. We're based in South East London, near Lewisham, Greenwich, Blackheath, Ladywell and Catford.